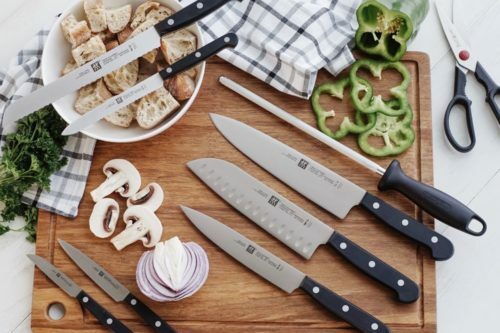 We’re giving away over $7,000 in prizes during our biggest ever ZWILLING J.A. Henckels sale. From March 25-April 22, you can take advantage of incredible door crasher deals, FREE gifts with purchase and massive sales. To amp up the excitement even more, we’re giving away a huge grand prize along with weekly prizes on our Instagram @kspstuff. 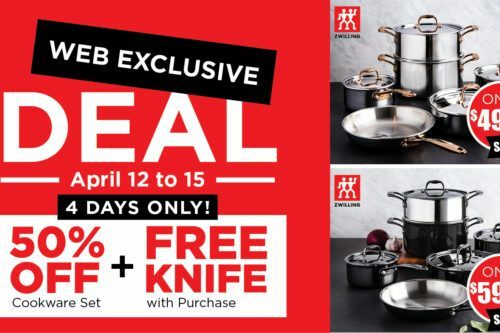 Starting on Monday, April 15, you can enter to win amazing ZWILLING J.A. 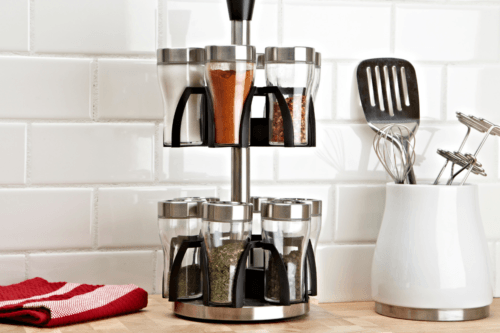 Henckels prize packs in our giveaway! We’re giving away three amazing prize packs, including one that includes gorgeous knives from our new Twin Fin II collection – and so much more. 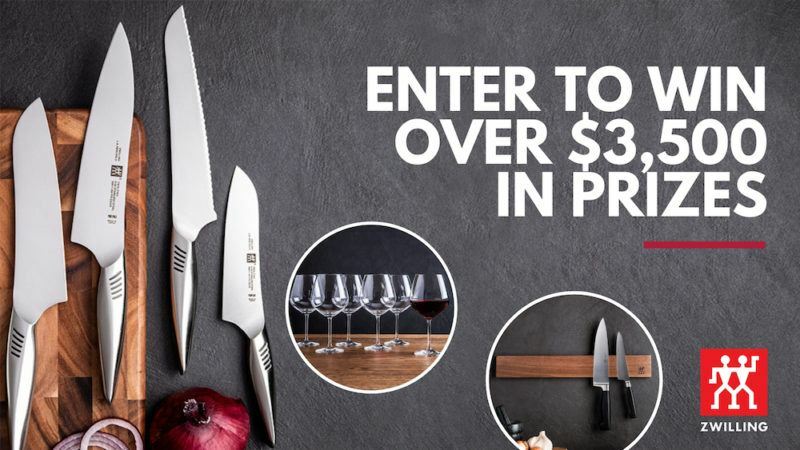 See all the details by visiting kitchenstuffplus.com/contests – enter by midnight on Monday, April 22 for your chance to win! If you’re a ‘But first, coffee’ type of person, you’re going to love this giveaway. You could have any drink of your choice from Hotblack Coffee on Queen Street in Toronto. 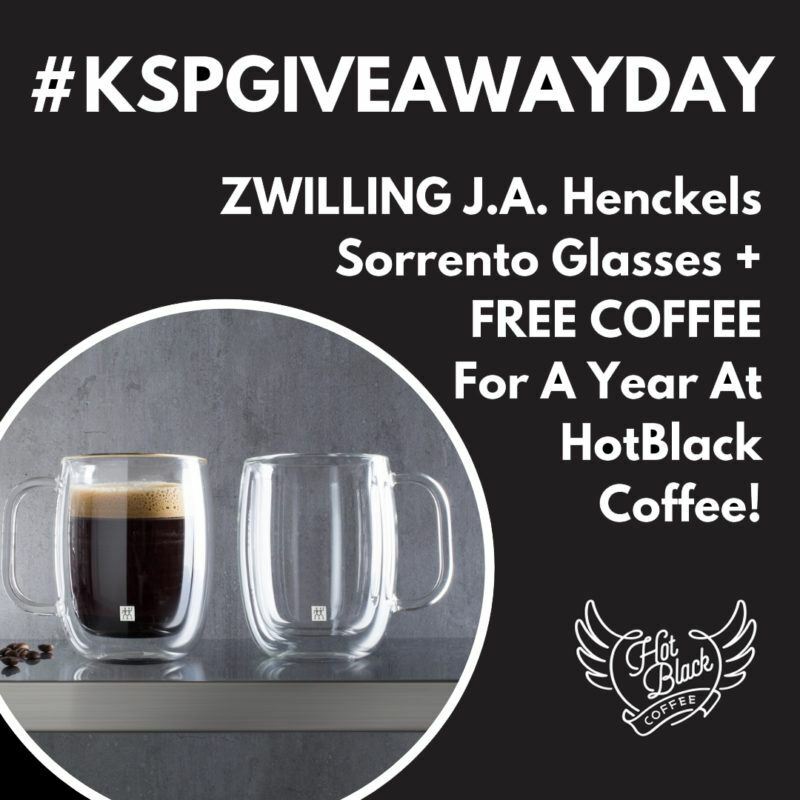 Along with your daily coffee treat, you’ll also win everyone’s favourite Sorrento double-walled glasses so you can enjoy your favourite beverages at home in style. 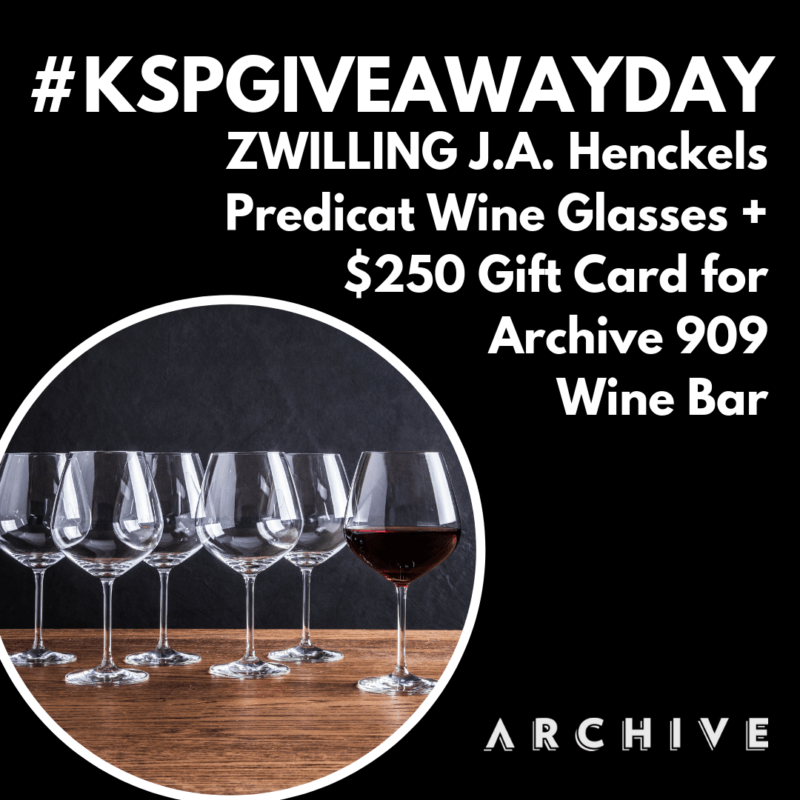 Look for the contest post on our Instagram feed @kspstuff! 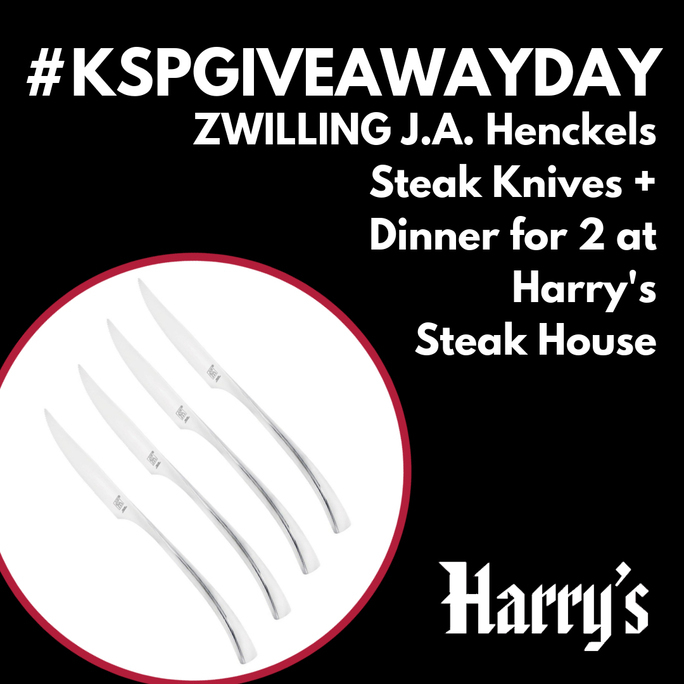 Next up is a chance to win a nice night out with a $500 gift certificate to Harry’s Steak House plus ZWILLING J.A. Henckels steak knives. Harry’s is known for its incredible grilling expertise and gorgeous decor. We’re crossing our fingers for you already! Spend a relaxing evening downtown Toronto at Archive 909 Wine Bar. 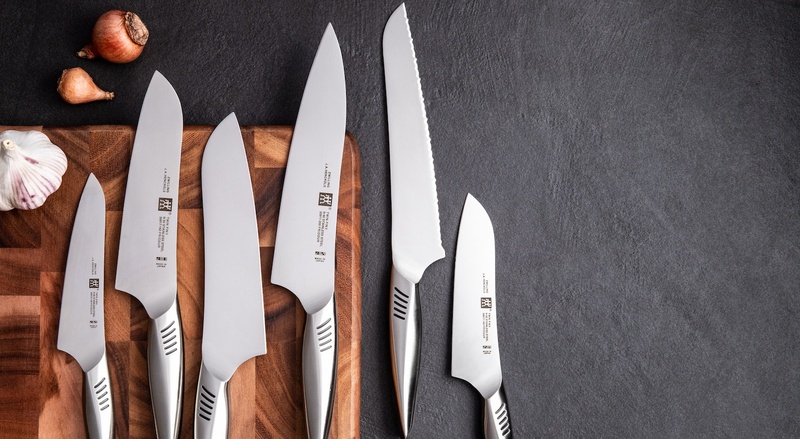 You could win a $250 gift certificate and gorgeous ZWILLING J.A. Henckels Predicat wine glasses to keep the vino flowing at home, too.